This rather fine three room pub is something of a backstreet gem, nicely decorated and well looked after. There's a small plain front bar, an equally small back bar, and a larger lounge with no counter very beautifully done out and comfortable. Bakery Inn This one room pub is nicely done out. My notes in 1999 said it was a little tatty, but it has been well tidied up since. An impressive iron spiral staircase leads to the function room upstairs - I wouldn't like to come down it after a few pints! The bare-brick interior in the Glebe did not live up to the impressive exterior architecture, Bernie May's is nicely decorated in light and dark grey. One room knocked round three sides of the central bar. No sign of the "bistro" aspect of the operation when I was there. A splendid art deco lantern in this large knocked through two-sided pub which I described back in 2004 as sadly looking a little run down inside. Returning in 2018 I found it in much better condition. 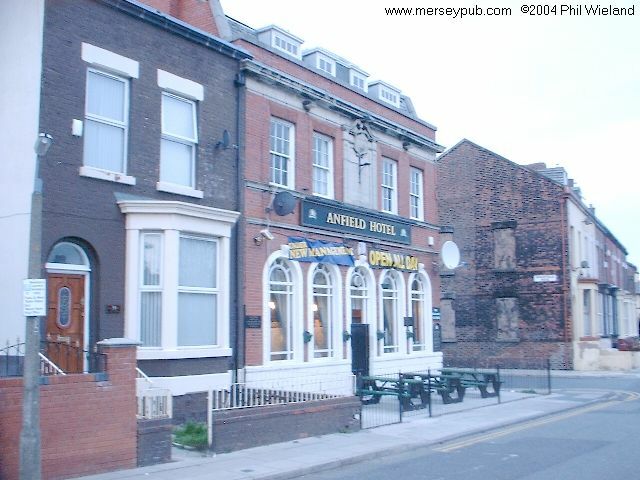 I am told this pub is known locally as the Aintree Iron, as mentioned in the Scaffold's 1967 hit, Thank You Very Much. This large knocked through pub seems to have turned away from its 1990s youth-oriented incarnation and is now very nicely decorated in a more traditional style, and is very popular. One part is a large high-ceilinged hall. The County had an American style when I visted in 2000. 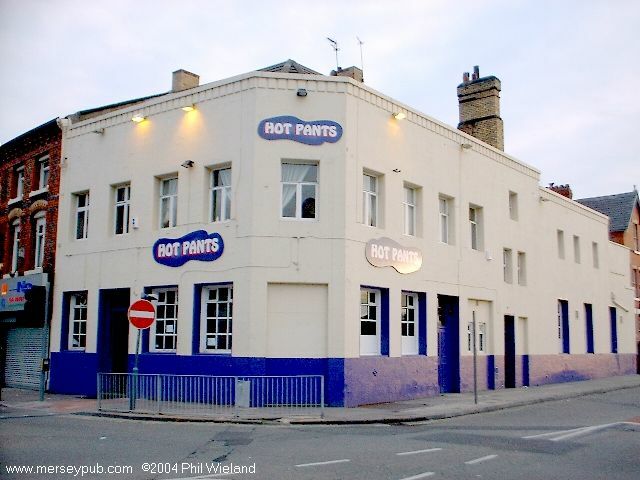 In 2004 I found it had been redecorated with lots of glitter paint and re-named Hot Pants. Nice tiled floor. Later it reverted to the County name, and was closed by 2017. 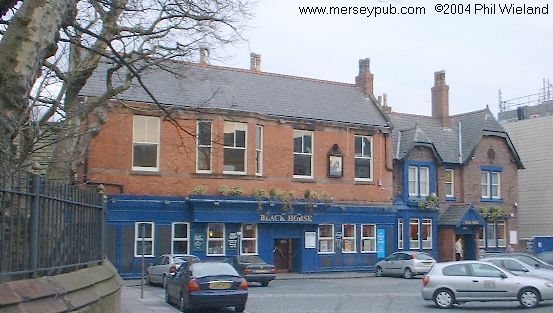 This large, friendly two-sided pub was packed with locals watching footie when I visited in 2000 (Despite the fact that the LSTV was out of order.) The interior is plain and very well looked after. Crown suite upstairs. I'm told this is closed and has been demolished. Dunny's Club This was shut when I passed on a Thursday evening in January 2000. Hargreave's Wine Bar Rather up market decor in this wine bar. It was very busy when I visited but no-one was drinking wine! Hermitage Large basic two bar pub with a function room and a pool room. Feasting Fox food. 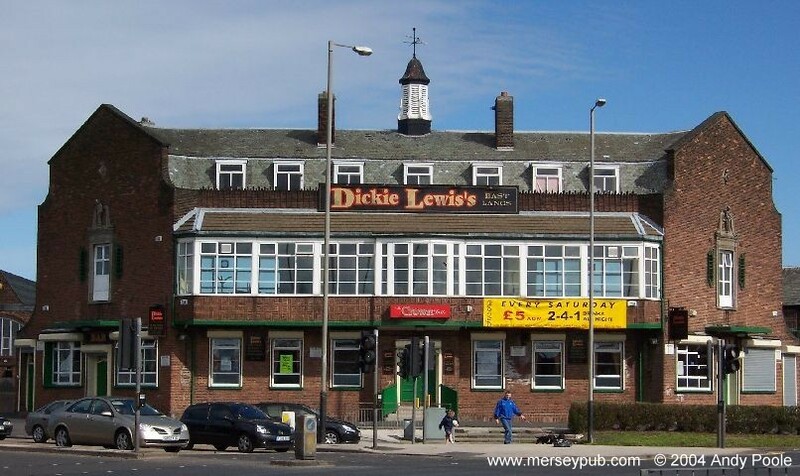 Sadly this fine inter-war roadhouse is now closed and has been demolished. Joey Orrs (Elite) (Orry's 2) The Elite was a large nicely done out but rather shabby one room pub, very smoky when I visited and full of racing fans on a Saturday afternoon. It received a substantial refurbishment when it became Orry's 2, but to be honest it was still a little shabby. Finally, as Joey Orr's it is very nicely done out and comfortable. There's a large stage/dance floor at the back. Fairly plain interior not as posh as the exterior suggests. LSTV. Food. I'm told this burned down in July 2009. Northcote Bar (Raffles) (Shamrock Bar) 2003: One sign called this "Raffles Wine Bar" but the only wine available appeared to be the usual draught red and white in this plain parquet floored disco pub, very noisy on a Thursday evening. LSTV. 2017: Pleasant modern plain decor in the totally re-done interior. Oakfield Inn This looks exactly like a standard Oak Lodges flat house - a pleasant, well cared for traditional interior - but I couldn't see any Oak Lodges signs. Now closed. Orrell Park Bar A pleasant bar and an enormous function room, all upstairs. Plough This large impressive free-standing building contains one knocked through well looked after bar. A number of hand pumps, but none are in use. LSTV. I think this may be only function rooms now. Prince Alfred A nicely done out and well cared for pub, partly knocked through with two bars and a pool room. I'm not sure if this is still open as a pub, it seems to be concentrating on bed and breakfast. Prince Arthur A very well preserved traditional street corner pub, with the lounge side served from hatches at the back of the bar into the corridor. Lots of leaded and etched glass, and some fine woodwork as well. The exterior is nicely tiled. Deservedly included in CAMRA's National Inventory of Pub Interiors of Outstanding Historic Interest, and a grade II listed building. A plain but well cared for bar side and a nice lounge side in this ordinary corner house. Pleased to find decent real ale here. Prince of Wales (Beer Engine) A plain but well cared for two sided local, with very slow service last time I visited. The Karaoke is too loud. Queen Anne This large free standing pub has a knocked through interior around a three-sided counter. A little on the grubby side, and full of boisterous locals enjoying themselves when I visited. The panels above the bar are decorated with stuck on pennies. Now closed. Queen Victoria This well looked after two-sided corner house is overlooked by the Queens Drive flyover. The lounge side has a nice fireplace, sadly not in use when I was there. Stuart Hotel Hidden on back streets, this imposing building contains a rather fine pub which retains many original features including some fine ceramics and, most important of all, the original layout with a drinking corridor served from a hatch in the bar back, with lounge rooms beyond. Top House Another backstreet gem, this three room two bar pub is nicely decorated in traditional style and well cared for. Vale Bar Over the top decorations in the lead-up to Christmas in this shop conversion. Great fun. Visions (Yesterday's) "Club of the 21st century" said the sign outside Yesterday's, but I hope it isn't! A somewhat run down plain night club in which the customers were more interested in the 99p a pint bitter than in the disco. Not visited since it was renamed. Warbreck A large bar side with pool tables and a small pleasant lounge area in this popular two bar pub, nicely decorated and well cared for. A standard Wetherspoon's with the usual range of cheap good beer and food. Inside this large free-standing building is a smallish front bar and a much larger lounge at the back, plus a side area with a pool table. The decor is pleasant and ordinary and the interior is well cared for. 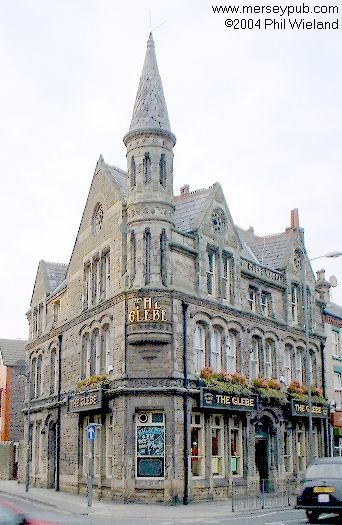 When I first visited, on a wet Sunday afternoon in 2000, there were three staff and three customers, despite the cask bitter being only £1.29 and in fine condition. Sadly the real ale has now gone.